Germans capture a British crater on Vimy Ridge. Parasite fighter experiments begin in the UK to launch a Bristol Scout from a Porte Baby airship. Lieutenant Colonel Frank Hill Gaskell (raised and commanding 16th Welsh Regiment) is killed in action at age 37. He is a veteran of the South Africa War. Major Harold Payne Philby DSO (York & Lancaster Regiment) is killed at age 28. His brother was killed in November 1914. Captain William B Algeo (Dorsetshire Regiment) is killed at age 28. He is the son of the Reverend Frederick Swift Algeo Rector of Studland. Lieutenant John Lauderdale Stewart-Richardson (Coldstream Guards) is killed at age 38. He was married eleven days ago and his brother the 15th Baronet was killed in November 1914. Private John Guthrie (Highland Light Infantry) dies of wounds received in action at home at age 29. 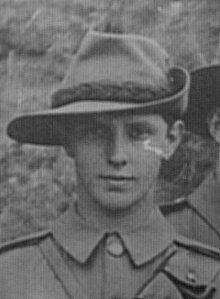 He dies of complications after having a foot removed and his brother will be killed in action in 1917 serving as S Murray. Private Herbert Raymond Standage (Royal Fusiliers) is killed at age 22. He is the son of the Reverend Samuel Ray Standage Vicar of Gt Bourton.